After a review of the applications by an expert panel drawn from the Department of Health and Human Services, Monash health and CEH, The winners will be announced on World Refugee Day, Wednesday, June 20. 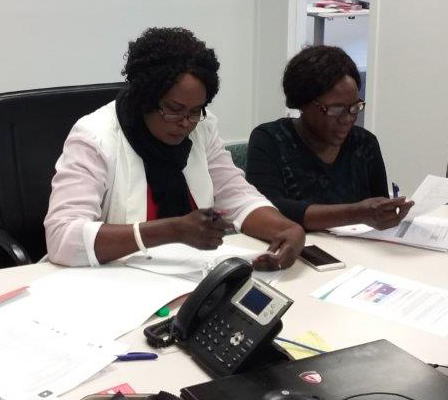 “MCAN works closely with the refugee communities supporting local projects and programs that assist community organisations to promote health in areas of AOD, healthy relationships and blood-borne viruses, sexually transmissible infections, stigma and discrimination,” Mabor said. The winners will be filmed sharing their experiences and challenges living in Victoria. This will highlight how hardworking refugee communities contribute to Australian society and shows a need to provide sustainable support to the refugee communities as they strive to improve health and wellbeing. Finalists included submissions from the Sudanese Mothers Coalition in Victoria, Hume Afghan Association Inc., African Australian Welfare Bureau Inc. PAWA 2 YOUTH and Life View of the Refugees. UN Secretary-General, Antonio Guterres tells us that “World Refugee Day is not about sharing the burden. It is about sharing a global responsibility, based not only the broad idea of our common humanity but also on the very specific obligations of international law,”. The work of CEH which improves the health and well-being of refugee and migrant communities, through a range of programs and services like MCAN, helps support that global responsibility. We look forward to sharing more information about the winners on Wednesday.